Psychogenic non-epileptic seizures (PNES), also referred to as pseudo-seizures, are sudden episodes that resemble epileptic seizures. The difference is that epileptic seizures are caused by changes in the electric activity of the brain, while non-epileptic seizures are believed to have a psychological cause, rather than a physical cause. PNES is a complex disorder that is difficult to diagnose and treat. 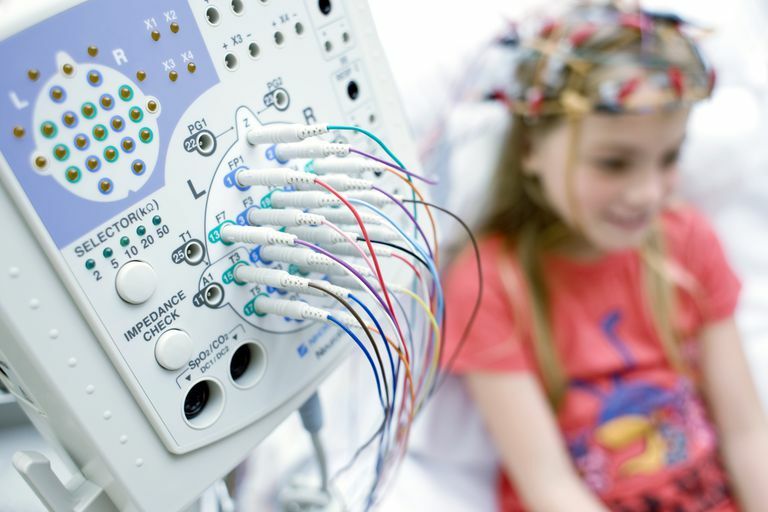 The term psychogenic non-epileptic seizures describes the experience itself, because people who have PNES often feel as if they are having seizures, although the episodes are not correlated with altered EEG activity. Many doctors prefer to avoid using the term pseudo-seizure, because it could imply that people who have this experience could be faking or do not want to get better. While the electrical activity in the brain is not the same as an epileptic seizure, a person suffering from pseudoseizures is not faking his or her symptoms. Typically, the spells are not voluntary (on purpose), cannot be deliberately controlled or stopped, and the seizure feels as real as epileptic one. The symptoms of pseudo-seizures are similar to those of seizures, but there are some important distinctions. PNES more closely matches the stereotypical concept of a seizure than an epileptic seizure does. For example, seizures portrayed on television involve a person thrashing around with no particular pattern, but true epileptic seizures are usually rhythmic and brief. Preceding events: PNES seizure-like activity can come on after a an emotionally charged event, such as being fired from a job or arrested. Stress can trigger an epileptic seizure as well, which makes the distinction challenging. However, stress that is shameful, or that will result in punishment, is more likely to trigger a pseudo-seizure than an epileptic seizure. Duration: Seizures generally last for a few seconds, and are followed by a period of physical and mental exhaustion, lasting for up to 24 hours. Pseudo-seizures can last for a long time, and may be followed by a full recovery. Convulsions: The convulsions of a pseudo-seizure tend to be more dramatic than convulsions of an epileptic seizure, but rarely cause physical injuries, while epileptic seizures can result in injuries. Loss of bowel or bladder control: An epileptic seizure frequently causes loss of bowel or bladder control, drooling, or tongue biting, while this is rare with a pseudo-seizure. Psychogenic seizures may occur in any age group, and are most common among young adults who have epilepsy. About 70 percent of sufferers are women. It is not always clear why someone develops PNES. The conditions associated with PNES are far more common than PNES, and most people who have these conditions do not experience pseudo-seizures. History of trauma: With PNES, there is frequently a history of abuse or sexual trauma, typically without proper therapy, support, or even acknowledgement of the traumatic events. Psychological conditions: Pseudo-seizures are often thought of as a type of conversion disorder, which is a physical symptom or manifestation of a psychological condition. Some psychological conditions, such as borderline personality disorder, bipolar disorder, severe anxiety, and depression, are associated with PNES. History of epilepsy: Often, people who have epilepsy during childhood experience pseudo-seizures, which can be triggered by events that resemble experiences that occurred around the same time as previous bouts of epilepsy. Chronic pain: Conditions that cause chronic, unrelenting pain, such as fibromyalgia, and chronic fatigue syndrome increase the probability of PNES. Distinguishing between epilepsy and PNES is a challenge. PNES is often misdiagnosed as epilepsy. Complicating matters,15 percent of people who suffer from psychogenic seizures have epileptic seizures as well. This makes the true cause of peculiar seizure-like activity very difficult to sort out. This grey area is stressful for patients and their loved ones, who may feel uncertain about whether the seizures will ever resolve. Observation: Diagnosis is often based on observation, and experienced health care providers can usually tell the difference between an epileptic seizure and a pseudo-seizure. Often, unusual characteristics of the convulsions or stressful precipitating factors raise the possibility of pseudo-seizures. For example, when both sides of the body are involved in an epileptic seizure, the person loses consciousness, but this does not always happen with pseudo-seizures. A person having a pseudo-seizure can be distracted by loud noises, such as a fire alarm, or a fear of danger, which is not the case with epileptic convulsions. Medication response: People who suffer from pseudo-seizures are often resistant to anti-epileptic medication. In fact, 80 percent of those with PNES do not improve with anti-convulsant medication, while about 25 percent of those with epileptic seizures do not improve with anti-convulsive medication. It is unclear why 20 percent improve with medication, and the response may be psychological. Electroencephalogram (EEG): The most reliable way to distinguish a psychogenic from an epileptic seizure is to use an EEG that records the electrical activity of the brain. Epileptic seizures cause patterns on an EEG that are not seen during a psychogenic seizure, and the EEG often shows slowing of electrical activity after a seizure that is not seen with pseudoseizures. Often, people with epilepsy have minor alterations on EEG even in between seizures or when seizure free. Learning about this conversion disorder often helps with recovery. Many people who suffer from PNES initially react to a diagnosis of any conversion disorder with disbelief, denial, anger and even hostility. However, people who experience pseudo-seizures are truly suffering, and, once the diagnosis sinks in, there is often a sense of relief that the condition is not life threatening. According to some estimates, almost 50 to 70 percent of people with PNES become free of symptoms after the diagnosis is made. Treatment is usually based on counseling, which can take years, particularly if the pseudo-seizures were triggered by trauma or abuse. While there are many other ways to help distinguish between a psychogenic and an epileptic seizure, none of them is completely foolproof. If you are not sure whether you or your loved one is suffering from epilepsy, PNES, or both, this can be a very stressful time. If it turns out that you have had pseudo-seizures, do not take this as a sign of weakness or as an accusation of faking. The brain can produce unpredictable behavior patterns, particularly if you have had to live with illness or stress for a prolonged period of time. Rest assured that with proper treatment, you can recover from pseudo-seizures. Milán-Tomás Á, Persyko M, Del Campo M, Shapiro CM, Farcnik K. An Overview of Psychogenic Non-Epileptic Seizures: Etiology, Diagnosis and Management. Can J Neurol Sci. 2018 Mar;45(2):130-136. doi: 10.1017/cjn.2017.283. Epub 2018 Jan 8. Robbins NM Larimer P, Bourgeois JA, Lowenstein DH. Number of patient-reported allergies helps distinguish epilepsy from psychogenic nonepileptic seizures. Epilepsy Behav. 2016 Feb;55:174-7. doi: 10.1016/j.yebeh.2015.12.022. Epub 2016 Feb 1.